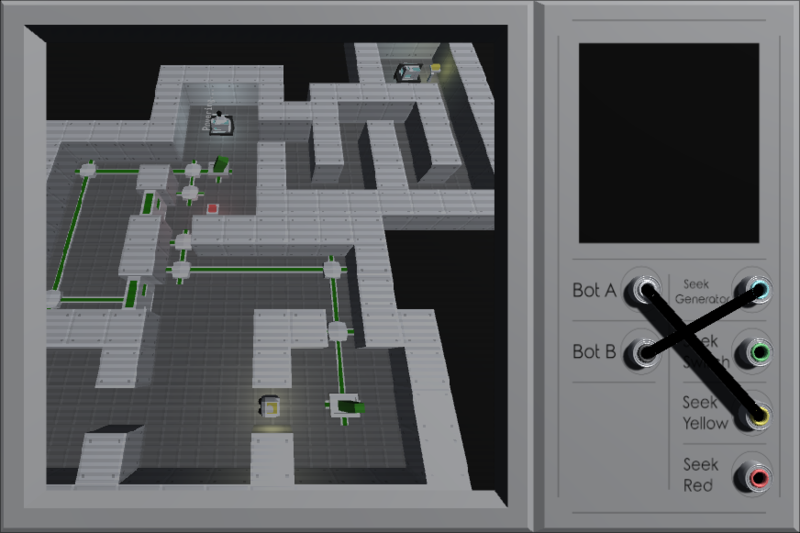 Switch AIs between bots to solve puzzles with them. Made for Ludum Dare 39, with the theme "Running out of Power." There has been a major incident in the energy transfer system of this facility. The engineers aren't coming to fix the problem until the next morning. 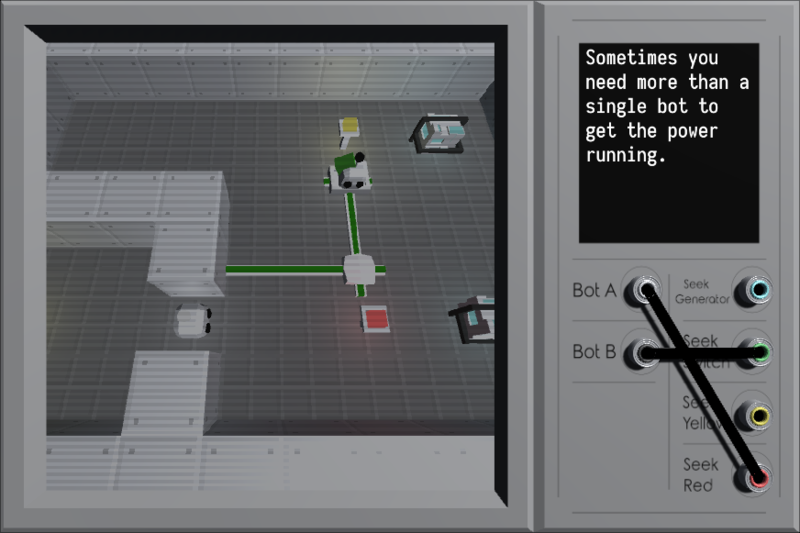 Using the backup power, you need to manage the bots manually to restore the power. 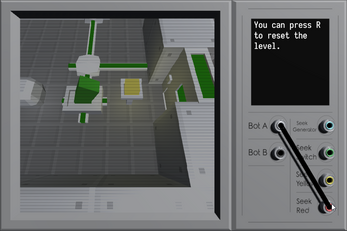 The game consists of wiring up the panel on the right. 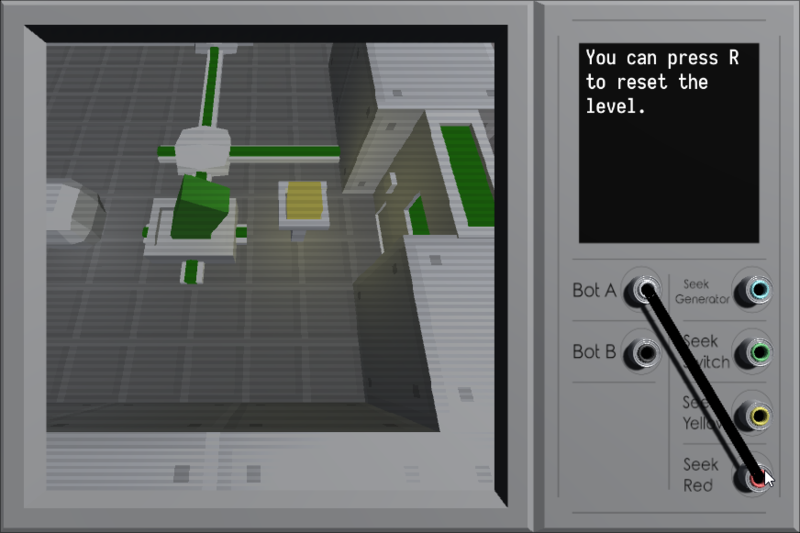 The left side of the panel represents the controllable bots, and the right side represents different AIs you can assign to control those bots. Plugging "Bot A" to "Seek Yellow" for example, will make "Bot A" seek yellow lights, if any are reachable. Note that other than lights, the bots only see 2 tiles away, so you need to use the lights to navigate through the levels. Check out the source at the game's Git repository. This game is distributed under the GNU GPL v3.